What do a Television Series, Learning and Gamification Have in Common? How to use gamification techniques to engage learners during change initiatives. Realize that you can use simple video in learning, even if you have limited video experience and equipment. Identify how to create an environment to produce engaging video interviews. How to write engaging video interview questions. 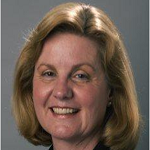 Debbie Farmer serves as NOAA’s distance learning and instructional design consultant. She currently focuses on HR-related topics, including supervisor training and performance management. She has many years of training experience, which include needs analysis, design and development, classroom and webinar delivery, and evaluation. Debbie has an undergraduate degree in education from Virginia Tech and a master’s degree in counseling and guidance from Virginia Commonwealth University. Sara Pranio is the NOAA Office of Human Capital Services (OHCS) branch chief, performance culture and learning branch, where she is working to develop continuous learning and a performance-focused culture organization-wide. Her team delivers a wide array of training and other developmental opportunities to senior leaders, supervisors and employees to ensure that NOAA meets its important mission. 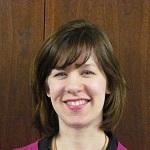 Sara has extensive experience in the areas of performance management, learning and development, and change management. Sara has a master’s degree in business administration from The George Washington University, in Washington D.C.